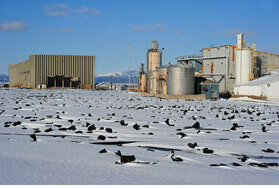 In 1997, EPA initiated a transfer of responsibility for on-going remedial activities at the East Helena Smelter Site from its Comprehensive Environmental Response, Compensation, and Liability Act of 1980 (CERCLA) program to its Resource Conservation and Recovery Act (RCRA) Corrective Action program. A Consent Decree (CD) effective May 5, 1998 between EPA and ASARCO (U.S. District Court, 1998) initiated the corrective action process. As part of the CD, ASARCO prepared a RCRA Current Conditions/Release Assessment (CC/RA) report (Hydrometrics, 1999). The purpose of the CC/RA was to assess the completeness and quality of the existing data used to define, in whole or in part, the nature and extent of hazardous wastes and hazardous constituent releases migrating from the Site. Based on its review of the CC/RA, EPA determined that interim remedial measures were necessary and warranted for portions of the Site, and an Interim Measures Work Plan (IMWP) was prepared (Hydrometrics, 1999). Concurrent with its approval of the IMWP, EPA determined that a RCRA Facility Investigation (RFI) was required for the site, with the RFI to be conducted in two phases. Objectives of the Phase I RFI, which was conducted in 2000, included characterization and investigation of portions and aspects of the site not addressed as part of the interim measures process, and to provide sufficient data for development of corrective measures alternatives. Phase II of the RFI was initiated in 2010 and was intended to address site characterization issues not addressed in the Phase I RFI or other previous investigations and remedial actions (taken under RCRA and CERCLA), and an assessment of human health and ecological risk posed by the site. Information obtained through the Phase I and Phase II RFI is being used to prepare a RCRA Corrective Measures Study (CMS) for the site. In 2012, EPA approved three RCRA Corrective Action cleanup activities for the East Helena Site, known as Interim Measures (IMs). These IMs are interrelated and independent, and they are designed to reduce off-site migration of groundwater contaminants (arsenic and selenium). Because it is practically or financially impossible to remove the millions of tons of contaminated soils on the former smelter property, these IMs focus on minimizing the amount of contaminated soil in contact with groundwater through several means, including installing a system to prevent people, animals, and precipitation from having direct contact with contaminated soils. South Plant Hydraulic Control (SPHC): lowering of groundwater levels at the south end of the former smelter Site, and providing additional flood storage capacity. Source Control: removal of approximately 250,000 tons of contaminated soil, debris, and hazardous and other wastes. Please see related fact sheets for more detailed information about these IMs. Accomplishments to date also include the demolition of all legacy smelter structures and closure of a RCRA hazardous waste landfill. The Prickly Pear Creek Realignment project is a key part of the South Plant Hydraulic Control Interim Measure. 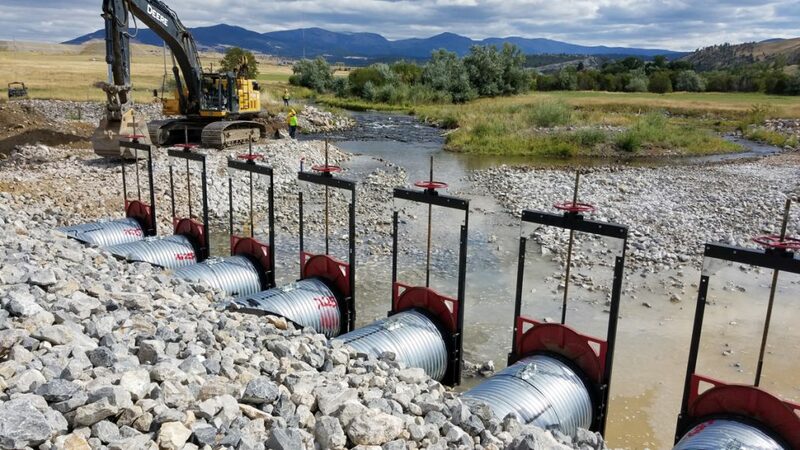 The objective of the 2-mile creek realignment is to reduce water contact with contaminants in the soil and reduce any migration of contaminants. The project will also help naturally dewater Upper and Lower Lakes and lower the groundwater table at the site. Additionally, realigning the creek will help stop further erosion of the slag pile, create an improved fish passage and creek habitat, and improve flood storage.